Is your company ready for an IT disaster? Statistics show that 30% of small businesses want to keep up with technological advances, while 23% don’t have the right IT team. This makes them vulnerable to malware, data breaches, and other pressing cybersecurity issues. If you don’t want to end up a statistic, you need managed IT services from a reliable managed services provider (MSP). 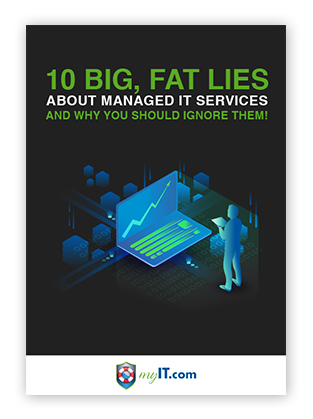 This handy guide is your handy companion to the world of managed IT services. It tells you what to expect from MSPs and how to choose the right one for your business. Get it now if you want improved security, carefree cloud computing, reliable backup and storage, 24/7 tech support, free updates, and more! “myIT.com has a Proven Track Record of Excellence”!